In the 21st Century, it’s basically common knowledge and certainly widely accepted that the Pentagon, in Arlington County, Virginia, has multiple levels of enormous bunkers and an immense network of tunnels beneath its visible exterior. Aerial photograph of the Pentagon…taken in 2008. It makes complete sense, too. You’d expect the Department of Defense’s headquarters of the world’s greatest superpower would have multiple access routes and escape tunnels to accommodate sudden evacuations and other emergency actions. 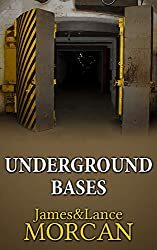 We examine the Pentagon and describe, as well as speculate, what lies beneath it in our new release book UNDERGROUND BASES: Subterranean Military Facilities and the Cities Beneath Our Feet. That’s the official account of the Pentagon and its construction specifications and history. However, it’s the unofficial story we are interested in.